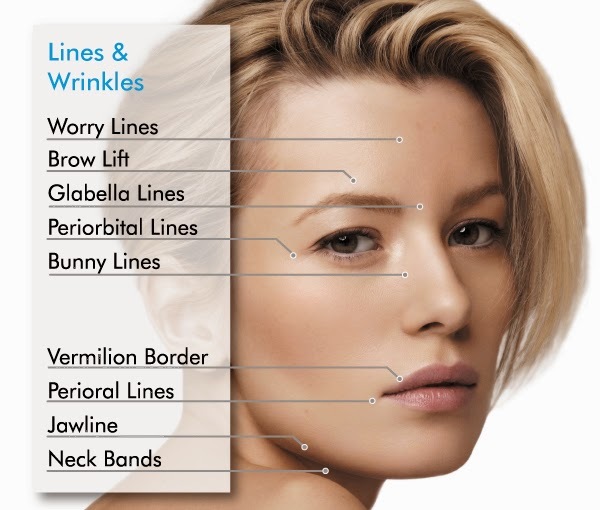 Botox has many effective uses that go far beyond eliminating wrinkles! Lip augmentation creates fuller, plumper lips and reduces fine wrinkles around the mouth. Lips may be injected with collagen or with fat transferred from another site in the patient's body. Both liquid collagen and fat are absorbed and repeat treatments are necessary to maintain results. Newer, longer-lasting options include implantable materials like AlloDerm and SoftForm. A natural or synthetic biocompatible material, or the patient's own fat, is injected or implanted in the lips. One injection is usually sufficient to produce the desired result, which may be temporary, depending on the material used. Injections may need to be repeated periodically. Proper placement of the injected material is important. AlloDerm, a natural collagen sheet made from donated skin, is inserted through tiny incisions inside the corners of the mouth. Once the AlloDerm implant is in place, it eventually becomes integrated with the natural tissues. Gore-Tex, SoftForm and soft ePTFE are other synthetic implant options. Autologen - injectable dermal implant material made from the patient's own skin. Dermalogen - injectable Human Tissue Matrix (HTM) procured from donor tissue. Fascia - injectable donor tissue made from the dense white connective tissue that supports body structure. Can also be done as a surgical implant. HylaForm - a crystal-clear injectable gel; the hyaluronic acid in Hylaform is similar to that naturally found in the body. Restylane - crystal-clear injectable gel; the hyaluronic acid in Restylane is very close to that naturally found in the body. All botulinum toxin products have usage information in the consumer section of the Product Monograph. Review it carefully with your health care practitioner. Discuss any concerns you may have about the risks and benefits of botulinum products with your health care practitioner. Pay close attention for any signs or symptoms of adverse events and seek immediate medical attention if you have unexpected difficulty swallowing or talking, trouble breathing, or muscle weakness following treatment with a botulinum toxin product. Botox is indicated for the treatment of severe muscle spasm in the neck, eye and foot, for chronic migraines, incontinence, and for excessive sweating. Botox Cosmetic is indicated for cosmetic purposes, to treat facial wrinkling. Dysport is indicated for the temporary improvement in the appearance of moderate to severe wrinkles in adult patients less than 65 years of age. Xeomin is indicated for severe muscle spasm in the neck, eye and arm. Xeomin Cosmetic is indicated for the temporary improvement of moderate to severe frown lines in adult patients. Myobloc is indicated for the treatment of adult patients with severe muscle spasm in the neck. Continue reporting any side-effects from the use of botulinum toxin products to MedEffect: Call toll-free at 1-866-234-2345, visit MedEffect Canada's web page on Adverse Reaction Reporting for information on how to report online, by mail or by fax. Patients who present with nodules after undergoing filler injections can be treated with a combination of antibiotics and 5-fluorouracil/triamcinolone acetonide (Kenalog) injectable suspension, facial plastic surgeon Michael Persky says. Nodules formed at injection sites in one patient who received Juvederm injections about a year after receiving Sculptra injections and in another who received Restylane injections months after receiving Sculptra injections. Both were treated with 5-FU/Kenalog, but the second patient responded better when antibiotics were added to the treatment regimen, Persky said. Are dermal fillers are a crisis waiting to happen? Dr Grover said the Government's failure to create a compulsory register was a 'huge loophole'. And he criticised the fact the operating surgeon does not have to be the one gaining consent from the patient.